“The Mandailing people do not want to be called Batak because Mandailing is not Batak. There is no relationship between the two groups,” says Paruhuman Sah Alam Lubis, chairman of Himpunan Keluarga Besar Mandailing (HIKMA), or the Association of Mandailing Families, in Medan. The Mandailing, an indigenous group in North Sumatra, are usually referred to as Batak, an umbrella term for a number of North Sumatran ethnic sub-groups including the Batak Mandailing, Batak Toba, Batak Pakpak, Batak Simalungun, Batak Angkola and Batak Karo. Despite being grouped under the same ethnic label of Batak, these sub-groups speak different dialects, have different cultural traditions and originally come from different parts of the province. Around 44% of the population of North Sumatra are classified as Batak. It’s a label that HIKMA feels is historically inaccurate. 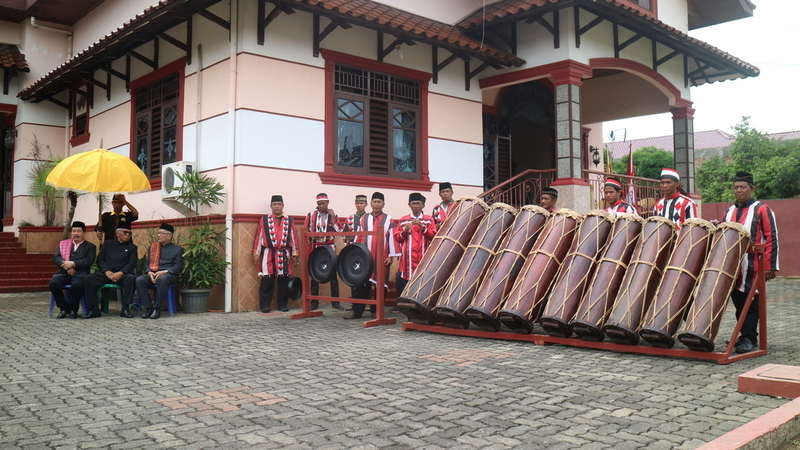 The association hosts events across the province to raise awareness of the differences between “Mandailing” and “Batak”. It’s a cause that some Mandailing have championed since 1922, but is now having its day in the sun thanks to a celebrity wedding involving the President of Indonesia. The question of whether the Mandailing should be classified as Batak has been a long-standing topic of discussion for local Mandailing groups, or fodder for gossip in Mandailing coffee shops. But the 2017 wedding of Kahiyang Ayu, daughter of Indonesian President Joko “Jokowi” Widodo, to Batak Mandailing Bobby Nasution, though, has now brought the issue to the fore. The wedding featured a range of traditional Batak customs, from the outfits to the dances performed. It also highlighted the confusion between the use of the terms “Mandailing” and “Batak Mandailing”; even the president himself was nonplussed. 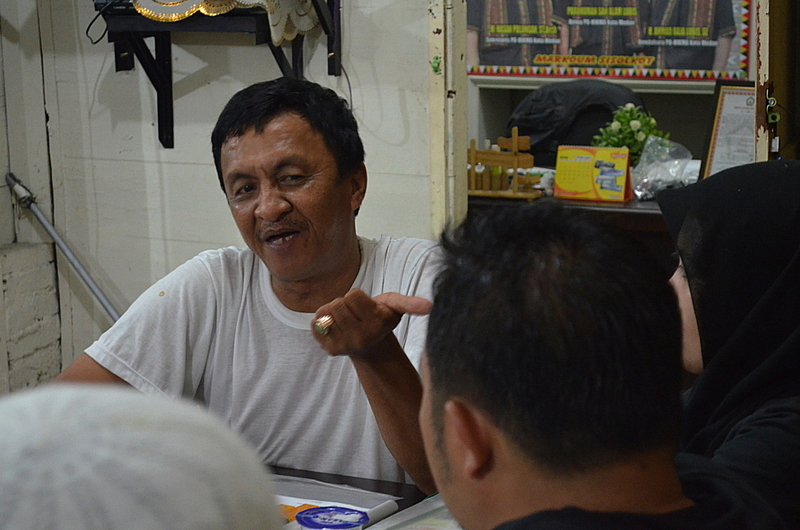 “In the beginning Jokowi did not understand our position, because when he met with our group in preparation for the wedding reception, he kept saying ‘Batak Mandailing’ so he got some complaints from those who know the Mandailing history,” explains Lubis. Indonesia is built on the national slogan “Unity in Diversity”; there are more than 300 ethnic groups across the archipelago. While a sense of national unity is central to Indonesian society, the issue of asserting one’s own ethnic identity is equally significant. And HIKMA has been at it for a long time: the association, founded on May 4, 1986, is made up of families who belong to the Mandailing group and has been at the forefront of separating Batak and Mandailing culture. “Mandailing will never admit that they are Batak. If some Mandailing don’t mind being called Batak then they only make up a small portion of the population,” Lubis claims. “The fact is [that] we consider Mandailing to be closer to a nationality than an ethnic sub-group”. But things aren’t so clear-cut. While it’s true that the Dutch used the term, the term might have pre-dated their arrival. Other sources, such as the Encyclopaedia Britannica, say that the term was “likely coined during pre-colonial times by indigenous outsiders (e.g., the Malay) and later adopted by Europeans.” Pre-colonial texts like Zhao Rugua’s 13thcentury Description of the Barbarous People make references to the ‘Ba-ta’ of the Srivijaya Kingdom while the Suma Oriental from the 15thcentury mentions a kingdom known as ‘Bata’. HIKMA sees the term “Batak” as a derogatory slur, a term used by the Dutch to paint them as wild, uncivilised natives. It’s a term they want to dissociate with as soon as possible, and Kahiyang Ayu’s nuptials have given them a “direct line” to the president to lobby for their cause. It’s a rare opportunity to put their issue on the map in a large country where smaller ethnic communities often go unheard. Indonesia is a sprawling archipelago of some 13,000 islands containing hundreds of ethnic sub-groups, all speaking different languages and with myriad traditions. Despite this, political power in Indonesia is often perceived as being overly focused on Java or, even more narrowly, as Jakarta-centric. Almost all of Indonesia’s former presidents have been Javanese—even Bacharuddin Jusuf Habibie, born in Sulawesi, was half-Javanese—contributing to a sense that Javanese interests have always come first in the country. HIKMA now sees the Mandailing as having the chance to stand out and distance themselves from other Batak groups. And all of this comes not a moment too soon. Video: Indonesian President Joko “Jokowi” Widodo dancing tor-tor, a traditional Batak dance, at his daughter’s wedding. The celebrity wedding coincides with a time when money from Jakarta is pouring into North Sumatra at an unprecedented rate. The government has made plans to increase the number of tourists to the Lake Toba region to one million by 2019; a huge jump from the 300,000 who visited in 2017. Silangit Airport in Siborong-Borong was turned into an international airport in October 2017 and effort is also being put into making other parts of the province more attractive to tourists. Jokowi is also the first Indonesian president in the 72-year history of the republic to visit Batak areas like Lake Toba, thus elevating the region’s national visibility. As the money flows in, the Mandailing are using their history to make a name for themselves—literally. They say they’re simply claiming what’s been rightfully theirs for centuries. HIKMA hopes that all this will bring greater recognition of Mandailing culture (and funds to promote it), which would in turn open up more political opportunities for Mandailing candidates in regional elections. That Jokowi’s daughter has been given the traditional Mandailing family surname, or marga, of Siregar is meant to further cement the relationship between the ethnic sub-group and those at the top of Indonesian politics. This wouldn’t be the first time local Batak groups have tried to curry favour with politicians for economic and political reasons. One of the current candidates for the 2018 governorship of North Sumatra, Edy Rahmayadi—originally from Sabang in Aceh—was bestowed the traditional Batak surname Ginting when he visited Karo Regency in 2017. This, apparently, was in honour of his love for the Batak Karo and his support for villagers who had been evacuated from around Mount Sinabung, an active volcano. Interestingly, the marga was given to Rahmayadi by Himpunan Masyarakat Karo Indonesia (HIMKI), a sister group of HIKMA set up by the Batak Karo. Lili Ginting, the head of the women’s branch of HIKMI, was quick to explain the rationale for the happy occasion, which coincided with plans for a Bon Jovi concert in Karo Regency. “We hope that the Bon Jovi concert will open the door for more foreign tourists to visit Berastagi[a town in Karo Regency]which is in line with Edy Rahmayadi’s plans for Berastagi to become a world tourism destination,” she told the press (link in Bahasa Indonesia). Other high profile gubernatorial candidates from outside the region have also been claimed and given surnames by local Batak groups. Djarot Saiful Hidayat, the former governor of Jakarta, was given the surname Nababan—a typical marga of the Batak Toba—in January 2018 in a traditional ceremony. HIKMA currently operates on a provincial scale in North Sumatra but has plans to increase its presence to all Indonesian provinces. The group is involved in religious and cultural activities across North Sumatra in order to get their message to as many people as possible. “We have held events such as breaking fast together during Ramadan and have held soccer tournaments, as well as attending cultural events such as participating in the annual celebration of Sumatra Province,” says Lubis. “And, of course, we also attended the wedding of the president’s daughter”. But despite the Mandailing’s objections, there’s no consensus among the other ethnic groups who share the Batak classification. As Erron Damanik explained during the focus group discussion, the Mandailing have rejected the term “Batak” from as far back as 1922, but other groups such as the Batak Toba and Batak Angkola are still comfortable using it, and cite evidence of the term being used in pre-colonial times. According to former journalist Budi Hutasuhut, who is Batak Angkola, the Mandailing are insisting upon breaking away from the umbrella group while still following traditional Batak customs. He, too, references the wedding, which appears to have become the flashpoint for renewed conflict about this issue. If the Mandailing don’t want to be known as Batak, Hutasuhut adds, then they need to do more research to prove a distinct difference between the two terms; their arguments can’t just revolve around the assumption that the word “Batak” is based on colonial bias. It’s criticism that Syahian Zukhri Nasution tends to just brush off. To him, the matter is clear and those who disagree are simply misinformed. “Let them resist this if they want to. They are only saying this because they don’t have any proof or other strong evidence to back them up,” he says. This tension between the groups just goes to show how convoluted Batak history has become over the years; there are details and specifics that no one can agree on. But the Mandailing aren’t going to let go of their newfound proximity to the country’s leadership; for a small ethnic minority group, this opportunity to be heard on a national political level is simply too good to pass up.